This is another outfit that I purchased at the end of last winter. I bought the top and skirt at a local retro store, I was pretty excited at the time as they were stocking some Collectif pieces and I bought the jacket on sale from the Collectif website.... And here they are! 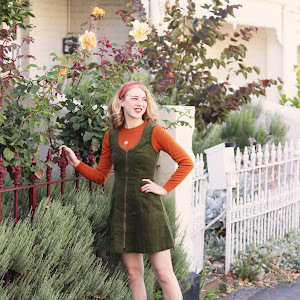 I like this jacket with a traditional black wiggle but I thought why not wear it with this awesome green one!? My little Erstwilder space cat adds a nice bit of colour to the outfit too I think. I have been decorating a bit more around the house, it is definitely feeling more cosy. There is still plenty to do, it doesn't end but it has been fun shopping for homewares (which I love) and setting up things that I bought ages ago just because I couldn't help myself. I can't believe how warm it has been, it makes me excited for summer outfits and swimming at the beach but there are still plenty of winter looks that I want to wear. This Sunday is the Fifties Fair and I am so exited! I set up my sewing table this week and yesterday I spent a few hours repairing the dress I am wearing to the event. I can't wait to share my outfit and photos here on the blog, there will be photos on my Instagram during the day so keep an eye out if you follow me. Such a sassy look! I love it! I have the same jacket in green and it is amazing to wear. The peplum is super cool! Such a cute and classic look. 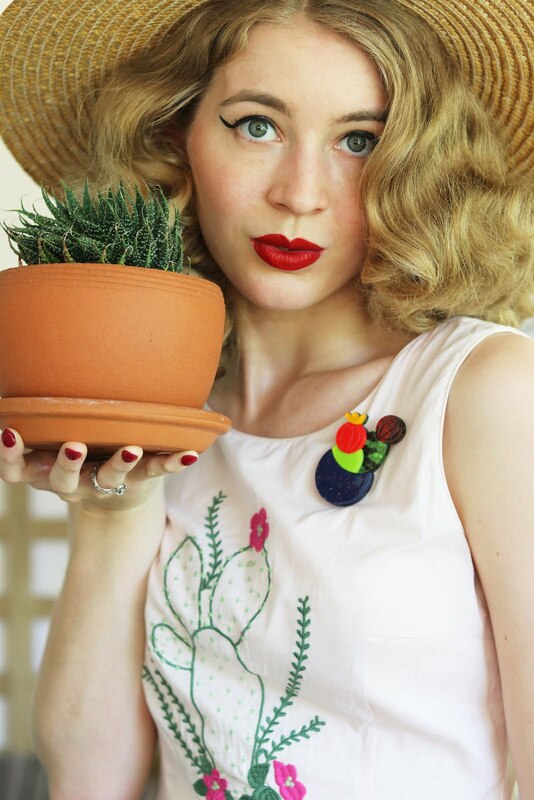 That Collectif jacket is amazing and awwwe that space kitty brooch <3 Looking forward to seeing your pics and outfit from the 50's fair! Hope you have a great time. Gorgeous look! That jacket is the perfect piece for fall - I love the shape, with the fur collar and the peplum. So flattering and feminine. You're really making me jones for some colder weather here in the northern hemisphere! That jacket is divine, love the nipped in waist and way it kicks out over the hips. This is such an amazing outfit! I love love love the jacket and your hair looks simply gorgeous. Oooh, what an elegant, refined ensemble. I'm smitten and am so looking forward to rocking suits and blazers again soon, when fall rolls into town here. You really look sensational, honey! I'd never think of putting these colours together but I''ve seen it loads in vintage photos in the past so I don't know why! You've totally inspired me, you look lush as ever!